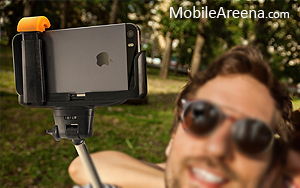 Apple has banned people from using selfie sticks or similar monopods within Moscone West or Yerba Buena Gardens during WWDC. The company has mentioned it as such on its WWDC General Instructions webpage. To be fair, Apple has prohibited people from bringing any kind of serious photography equipment at the event and the selfie stick rule is to prevent people from blocking other people’s view with their long and bulky sticks. It is sad that this even needs to be said but many not only have no concern of how ridiculous they look when using those things but also don’t care that they maybe obstructing someone else’s view when they stick out their phones in the middle of an event. Maybe other people will also start disallowing selfie sticks at events. That would be nice. Additional guidelines that explain can be seen on official apple developers page about this news. The company has clearly mentioned all the instructions of Apple’s Developer website, and state that submitted Mac or iOS apps must be written in Objective-C and Swift, or written entirely in Swift. These submissions will be accepted beginning on Wed., April 22nd and will end on Sunday, April 26 at 5 PM PDT.